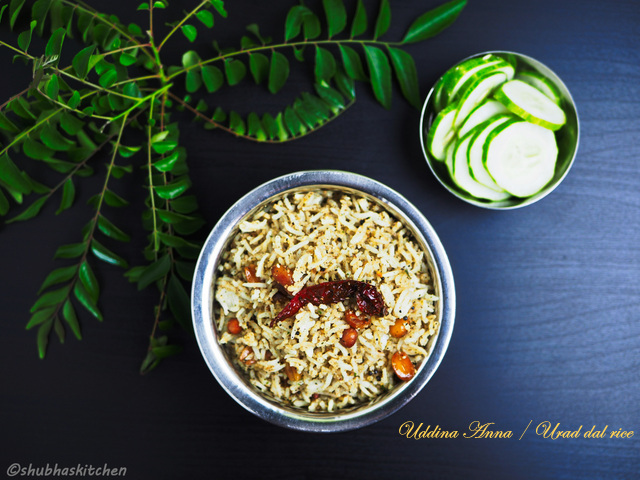 After posting back to backs posts on drinks like Falooda, Orange Glow, Watermelon Mint Cooler and Kid Sangria, I am back again with a rice recipe.Uddina Anna (in Kannada) or Urad Dal Rice is a simple yet very flavorful rice dish. 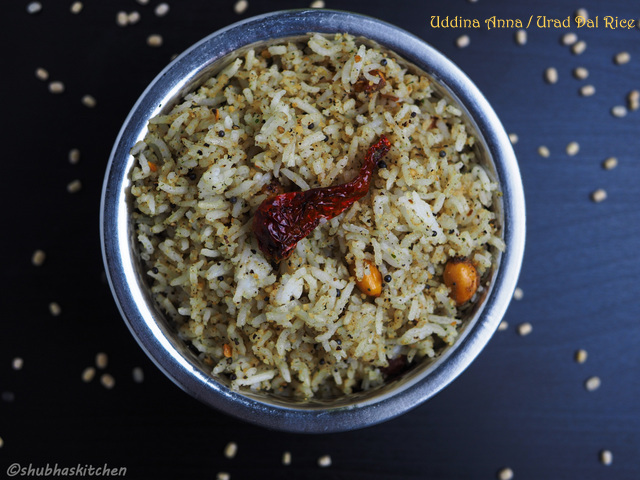 Rice is aromatically flavored with a spice mix prepared by grinding roasted urad dal (black gram lentils), curry leaves, black peppercorns and dry desiccated coconut into a fine powder.Its a one pot meal and makes a great lunch box option too. Best part is you can use the left over rice to prepare this dish. 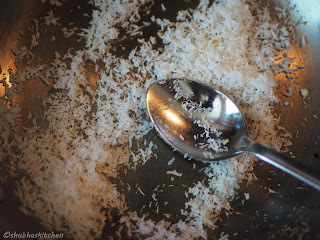 I came across this recipe in my dear friend Anupama's blog "Easybites Online". Her blog is filled with such delicious and healthy recipes. 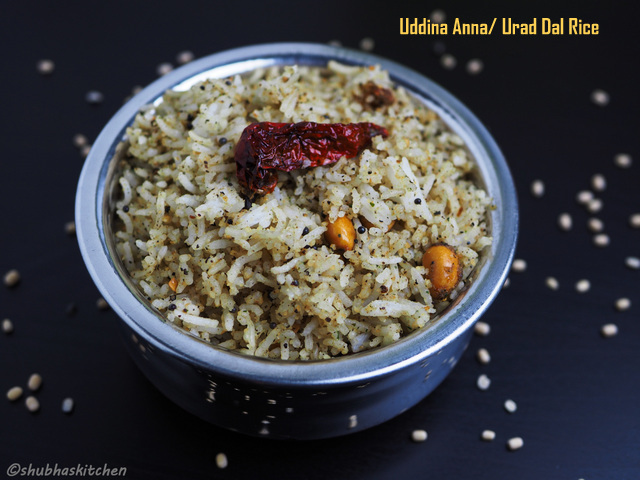 Uddina Anna / Urad Dal is such a great meal option especially for the days when you are running late or are super busy. rather than ordering a take out , you can prepare this tasty rice in no time. 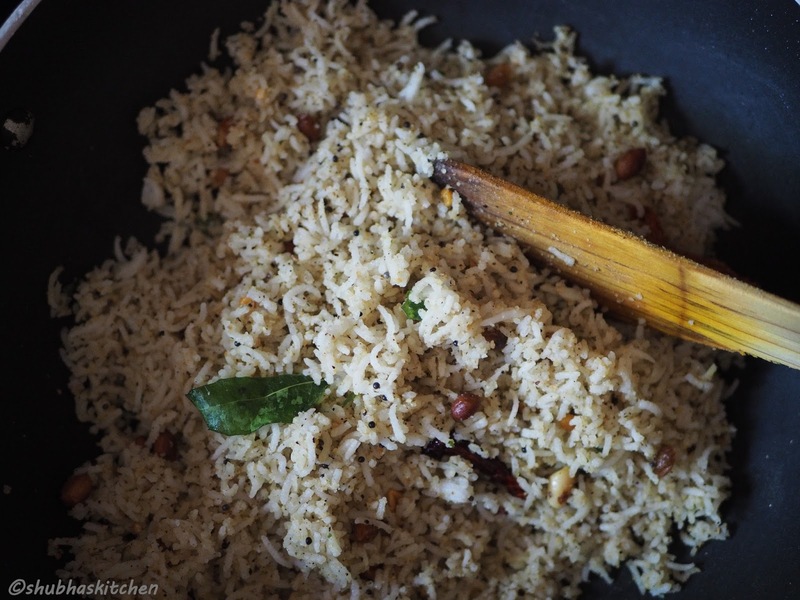 I have prepared this rice so many times now and loved it each time. 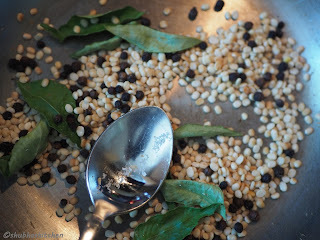 So lets get to the recipe right away..
Dry roast Urad Dal / Black Gram, black peppercorns and curry leaves. Once the urad dal slightly changes color, set it aside. Also , dry roast the dry dessicated coconut separately. 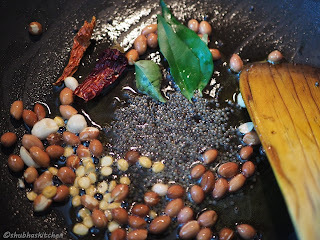 Once cooled, grind the roasted urad dal, blackpeppercorns, curry leaves and dry dessicated coconut into a fine powder.Set it aside. Heat oil in a deep bottomed pan. When hot, add the mustard seeds, a few curry leaves,dry red chillies and peanuts. Keep stirring until the peanuts change color. 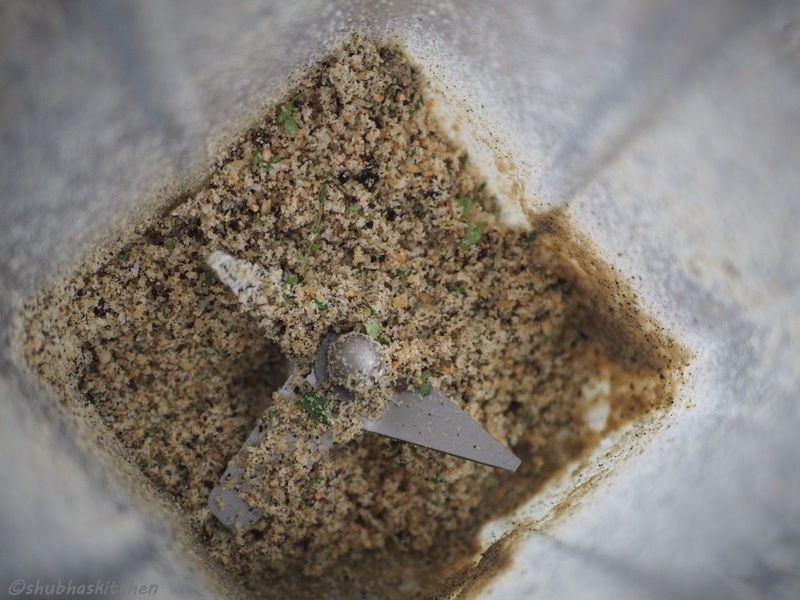 Add the powdered spice mix. Mix well. Now add the cooked and cooled rice. 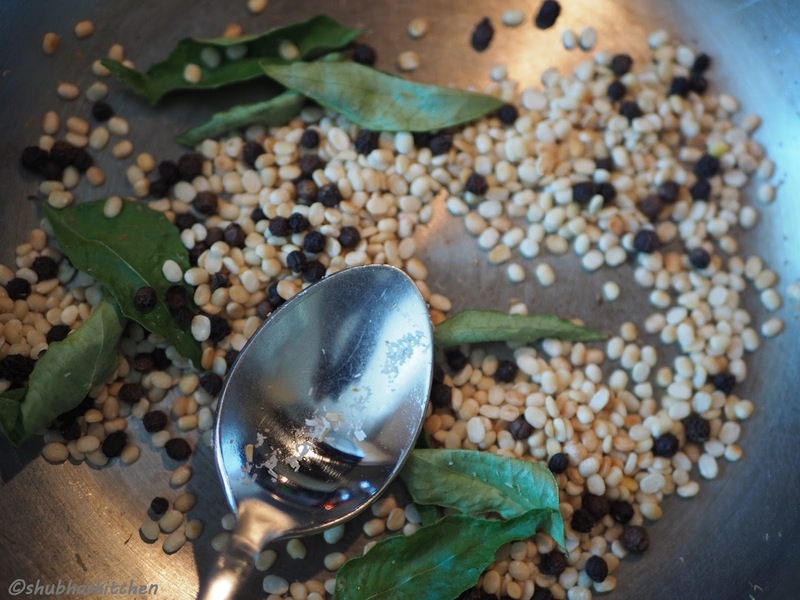 Add salt and mix gently. 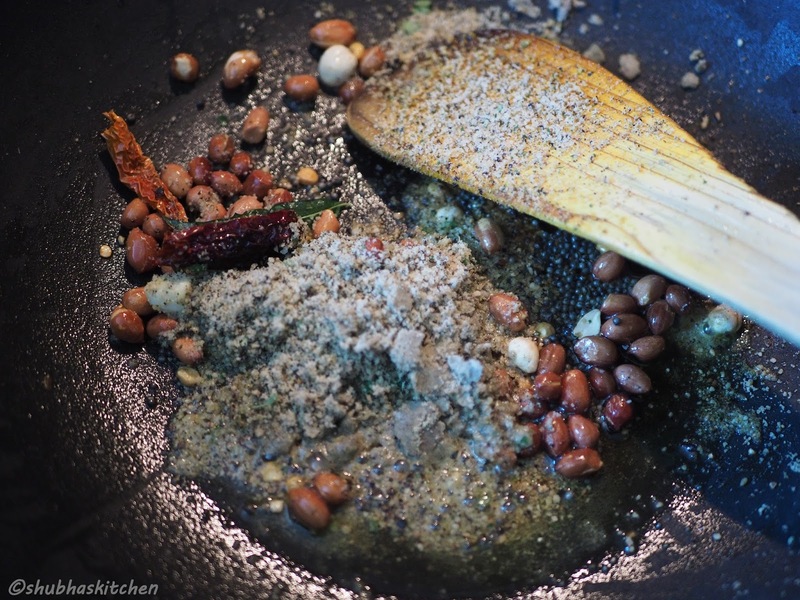 Serve hot with raita of your choice or any gravy based dishes. Its important to used cool the cook rice before using it. 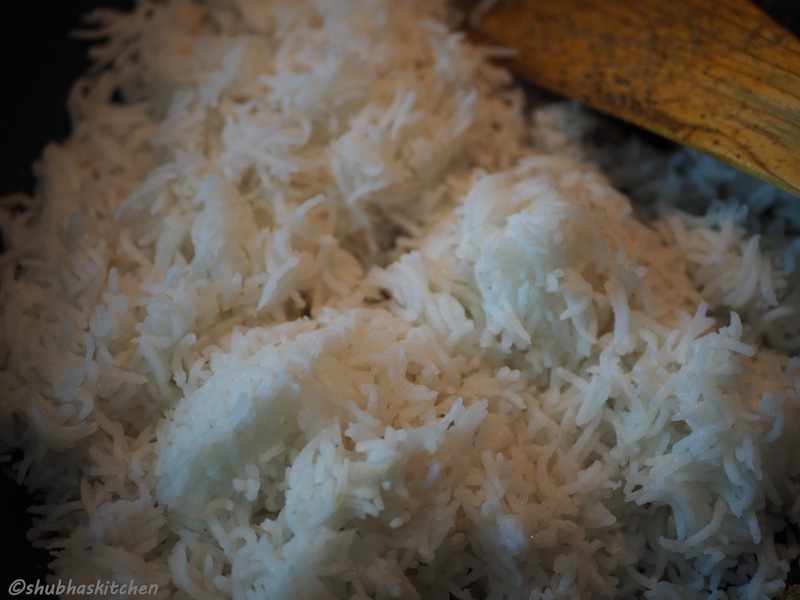 Using warm rice will make it mushy. I have used coconut oil for the tempering but you can very well use vegetable oil or canola oil. This is one brilliant recipe from Anu's treasure trove and your pictures are again reiterating what a delicious and fulfilling dish this is. Looks absolutely Yummmy. I love making variety rice. This recipe is in my to do list. Great share. 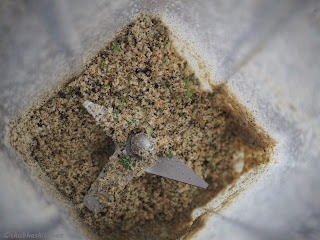 I am so so pleased you tried the recipe and loved it! It comes together so quickly and is flavorsome. Beautifully prepared and presented! Interesting, healthy rice dish. sure to try. new to this recipe love it !!! Truly remember this. Mum made and I ate loads of it. Nice memory looking at this rice dish, simply the best. How can I say no this rice dish? Impossible.